As part of our continuous effort to ensure data confidentiality and integrity, ERA is implementing a new password protocol for our clients. 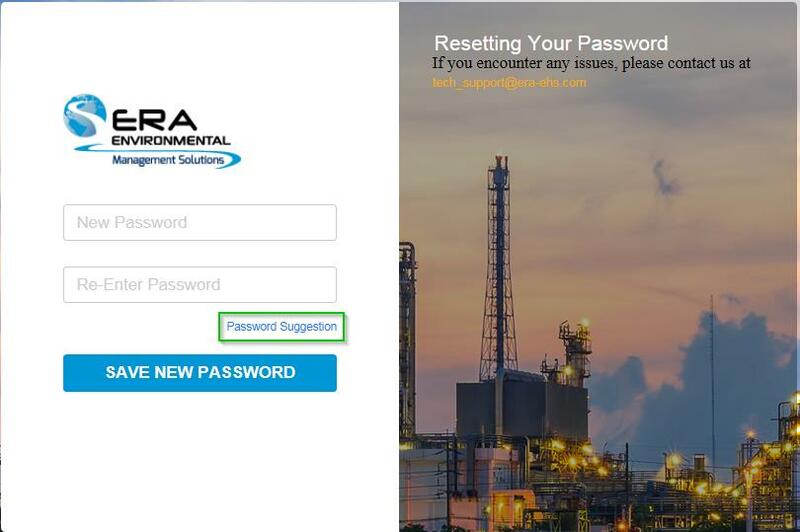 ERA is implementing new minimum requirements for passwords for all user accounts. These requirements will take effect on Monday, 15 May 2017. 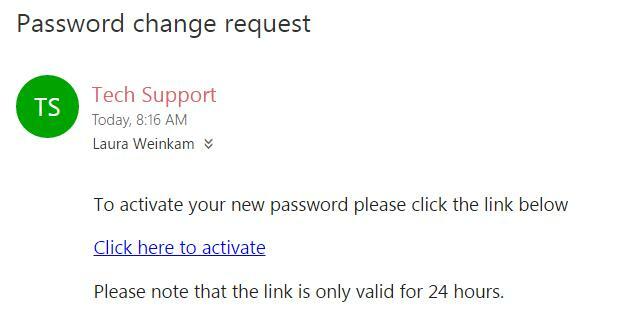 If your password does not meet the new capability you will be prompted to change your password. A minimum of eight characters. At least one uppercase letter and one lowercase letter. If your existing password already meets the above standards, you will not need to do anything. If your current password does not meet the above security standard, you will need to create a new password using the simple password reset process. Follow the instructions below to create a new secure password. There are two ways in which you can reset your password. These are outlined below. 1. 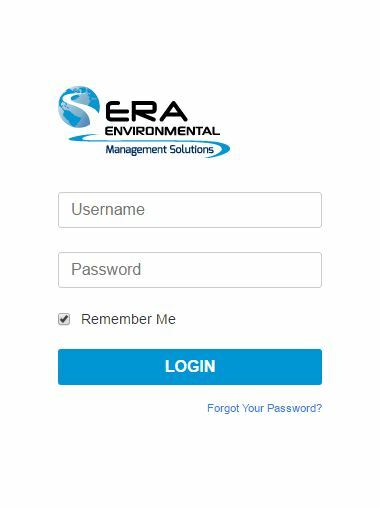 Log into the ERA application with your current username and password. 2. Once logged in, click the ‘Admin’ button at the top of the screen. Then select User Settings from the drop-down menu, and click Preferences on the subsequent drop-down menu. 3. Click ‘Reset Password’ on the following page. 4. Enter your old password, plus your new password. 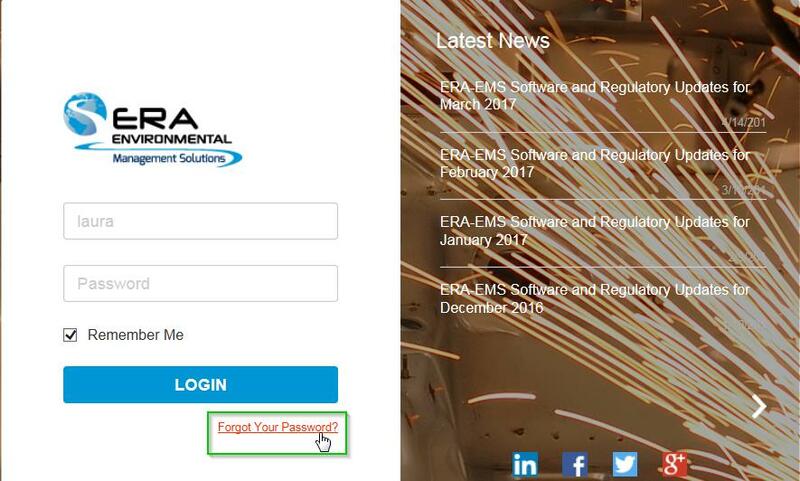 On the ERA application login page, click on the Forgot Your Password? link. 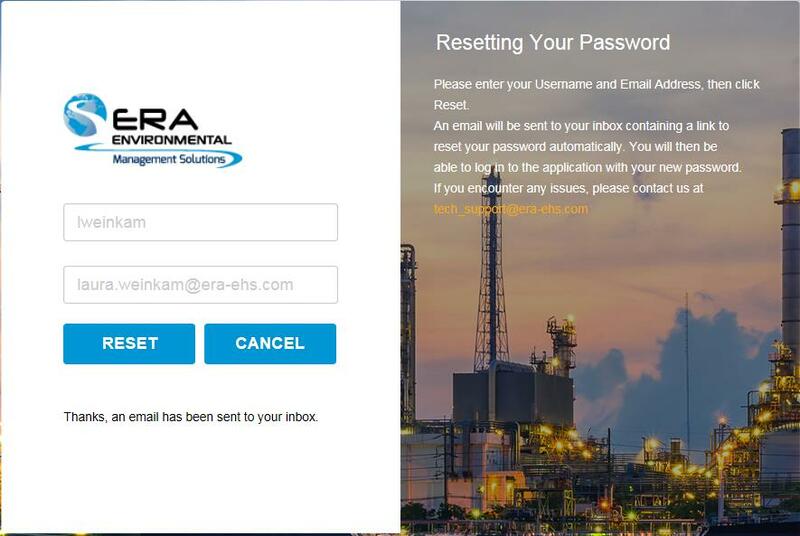 Type in the ERA username and email address associated with your user account. Click Reset. Note: If you cannot remember your username or associated email address, contact tech_support@era-ehs.com for further assistance. The link will open the ERA application. Type in your new secure password into the two password fields. Ensure both passwords are identical. You can choose to create your own password, or click on Password Suggestion to have a secure password created. Click Save New Password. After you save your new password, you can follow the link to the Login page to log into the application with your new password. ERA greatly values our clients’ user experience. If you encounter any difficulty in resetting your password, please do not hesitate to contact us at tech_support@era-ehs.com. We are confident that this new policy will result in a more robust and better overall experience for our users.